Jaipur House near India Gate in New Delhi has been renovated and the art works preserved in it digitalised. Now more and more people will be drawn to the early 20th century mansion, which houses the National Gallery of Modern Art, with memories of Amrita Sher-Gil and M F Husain. As such it’s worth repeating the history of this imposing monument. Jaipur House, besides being the last bastion of the Jaipur royal family in Delhi, also has an intriguing albeit interesting history that probably no other princely house in the Capital has. The close connection of the Jaipur royal family with the Mughals resulted in the grant of extensive lands. The grants included Jaisinghpura, Malcha, Madhoganj, Bas Hanuman and the Kushak lands, observes Sumanta K. Bhowmick in his extremely well-researched work, “Princely Palaces in Delhi”, published by Niyogi Books from which extracts have been taken for this article. The lands were gifted by the Mughals as muafi(Shahi grants). These included “a pucca house known as Kutchery Raj, observatory (Jantar Mantar) buildings and a temple for Shivji in Nirhoula village”. 1. That the Raj Jeypore owns muafiin Jeysinghpura and Madho Gunj in Delhi Tehsil, and the British Government has issued notice for its acquisition for the Capital. 2. This muafi of the Raj is a very old one and one of them was founded by Maharaja Jeysingh and the other by Maharaja Madho Singh as the names of the Mauzas show. 3. There are, in memory of the Raj Jeypore, several monuments, such as Chhatar, temples, Gurdwaras, Shiwalas and bazaars and the Raj has allotted muafiland to meet the expenses of all these institutions. 4. 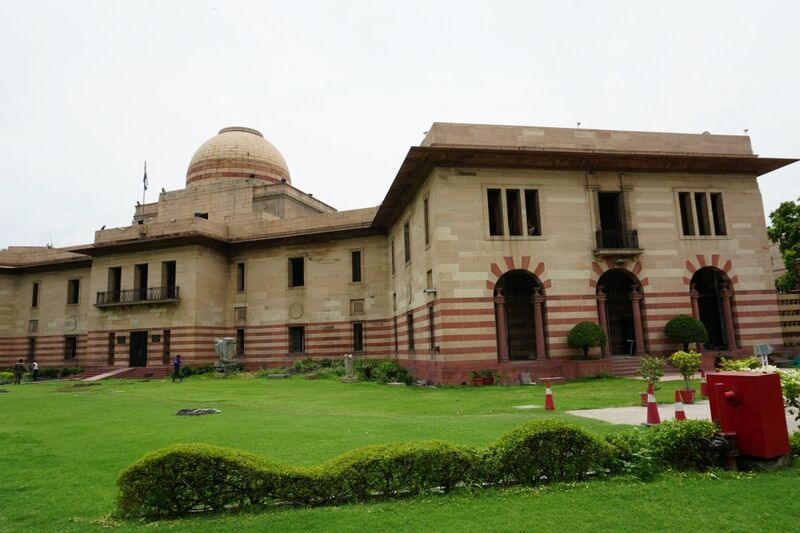 In the time of the Moghul Emperors when Delhi was the Capital, the Raj had a very big house, which is now in ruinous condition and it is the firm resolution of the Raj to make it very grand and beautiful in honour of Delhi being made again Capital of the British Empire in India. 5. These institutions are very old relics in the history of India and it has been always the policy of the British Government to preserve the old relics and historical places intact. It, is therefore, prayed that these institutions and old relics and historical places with lands attached to them may not be acquired and left intact under the control and supervision of the Raj. No doubt there is, besides the muafis, lands belonging to the Raj, some of which will be taken by the Raj for the purpose of building the very old and memorable house of the Raj and for the others the Raj humbly submits that it has no objection to build the houses, kothis, roads and such other things as the Government may desire at the cost of the Raj, according to the plans of the Government and the Raj is also prepared to give free of any remuneration any land which may be needed by the Government for opening or constructing roads of their own. It is, therefore, prayed that the Government may be pleased enough to withdraw the notice under Section 9 of the Land Acquisition Act issued to your petitioner or at least to postpone the proceedings under the said Act till the decision of the humble application of his to the benign British Government and request that the same be forwarded to His Excellency the Governor-General of India in Council for consideration. The appeal did not hinder the British from acquiring the land. 1. Plots of which he is the sole owner but which he cultivates through tenants-at-will. Government should at once take possession of these and be regarded as perpetual tenant with full right to deal with them as they think fit, the question of the payment of rent for these lands or of assigning other lands to His Highness in exchange being left over for future settlement. 2. Plots of which he is the owner but which are encumbered with the possession of occupancy tenants or other tenants holding on perpetual leases. Govt. should acquire the occupancy or leasehold right of these and take possession of them at once and be regarded as perpetual tenant with full powers to deal with them as they think fit, the question of compensation being similarly left over for subsequent decision. 3. Plots the land revenue of which is assigned to the Maharaja but the proprietary title of which belongs to others, etc. 4. The village sites in Madhoganj and Bas Hanuman in which the Maharaja’s claim to proprietorship is disputed by the occupants. The Government of India should acquire these through the medium of the Delhi Courts, it being left to the court concerned to decide with reference to the village sites the relative claims of His Highness the Maharaja and the occupants to the compensation assessed. 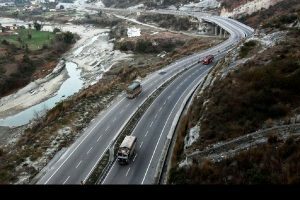 “A total of 314.34 acres of land in Jaisinghpura and Mahoganj villages was acquired by the Government for building the new Capital…The Government offered 10 rectangles of land on the Lower Bari Doab Canal but Jaipur Durbar rejected it in favour of a plot bigger in size in Allahabad, where the State had landed property…The Jaipur Durbar further asked for 25 acres of land in New Delhi” but the plea was rejected as only eight acres were allowed to each princely family. The grant of land for a country house in Okhla was later not accepted by the Durbar at a time when Maharaja Man Singh II was still a minor and could not take independent decisions. Eventually, a site beyond the one allotted to the State of Bundi was given free of cost in 1921, a concession not made to any other princely State. The site for the proposed Princes’ Club, which did not materialise, was finally given to the Jaipur Durbar in 1930 for Jaipur House, though the original one was also in Delhi before New Delhi came up. The charge of designing it was given to Charles Blomfield and his brother Francis, who completed the building in 1938. It has a butterfly design ~ European neo-classical mixed with Indian and Art Décor style. The dome is saucer-shaped, decorated with Mughal patterns, chattris and jharokhas. The Ashokan (lions) Capital adorned the front gate, much before it was adopted as the national symbol in 1950. The Jaipur House building, incidentally begun in the time of Madho Singh II, was completed in the time of his successor Man Singh II. Many grand functions were held at Jaipur House like the wedding of Major Thakur Govind Singh Khatipura of the President’s Bodyguard with Rajkumari Sneh Kumari of Garrauli State of Bundelkhand in February 1951. Among those prominent at the reception were the Maharaja of CoochBehar, Maharaja Man Singh II and his consort Maharani Gayatri Devi, Kameshwar Singh of Darbhanga and Gen Cariappa. On March 29, 1954, the National Gallery of Modern Art was inaugurated at Jaipur House by VicePresident Radhakrishnan in the presence of Jawaharlal Nehru, Prof Hanuman-Kabir and other dignitaries. Jaipur House (built in red and buff sandstone) has now become synonymous with Indian Modern Art. Old-timers still talk of the elegant grace provided by the Jaipur royal couple of Man Singh II and Gayatri Devi (one in his fancy Rajasthani turban and the other in a beautiful white sari) to the building at many Indian government and State functions before and after Independence. It surely links the Mughal era with modern times.